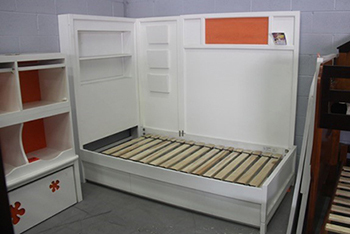 Receive (1) $1,268 Sponge Bob White Twin Captains Bed with Bookcase headboard, side panels, 3 storage drawers and white stacking Units with Buckets for only $635! Mattress Ready, Boxspring not needed. Mattress not included.